Open 10:00 A.M. to 5:00 P.M.
Easy to say, easy to spell, powerful in sound, international in use and meaning--intriguing possibilities. In Chinese, Jintu translates to golden path (see: Golden Path of Health), but it has many other meanings depending on the characters used to form the word (for example, it also means golden rabbit, perfect locale, and reliable map). In China, Jintu is the name of: an ancient village in Sichuan Province, a sect of Buddhism, a modern mountain resort near Beijing, a tennis club in Kunming, a building in Hong Kong, and a bridge over the Huihe River in Anhui Province; it is the name of several companies, including those that sell electronic equipment, umbrellas, jewelry, bedding, and clothing. In Japan, it is the name of a river of the Toyama Prefecture, and a type of extrasensory perception conferred upon priests who consume a rare wild mountain garlic. Here, it is adopted to simultaneously designate a concept, a place, and a group of preventive health care products: items used to regain health, maintain health, optimize health. The philosophy of Jintu Natural Health Pathways is that the best methods of prevention are positive daily habits that are enjoyable, easy, and meaningful. 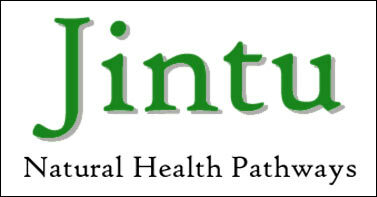 Jintu is part of the Institute for Traditional Medicine and Preventive Health Care (ITM for short), located in Portland, Oregon. It offers local services but has international scope with its close connections to China, India, and Europe. Through the internet, Jintu is as close as any computer that is on line. Jintu provides the local community with health products that have been evaluated by the Institute and deemed to be suitable for use in a program of preventive health care. ITM has more than 20 years experience in this field and operates two clinical facilities (one next door to the Jintu visitors center, called IEP) offering traditional Chinese medicine and Zen Shiatsu. Natural health care is confusing. 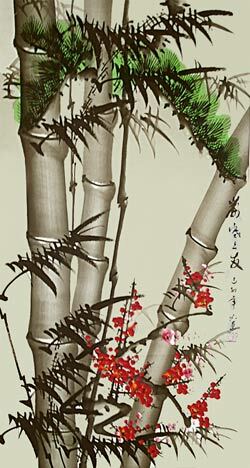 There are so many doctrines and products that it is difficult to know which way to proceed. ITM, with its long history of working with valued traditional medical systems (Chinese, Tibetan, Ayurvedic, Native American, and others), points the way to reasonable, rational, affordable-and even enjoyable-health promotion via Jintu. Jintu is an education for the mind and body. Jintu can help you learn when to use self-care and when to seek out professional assistance. It guides you along the golden path to natural health. Please browse around at the displayed products. Then, read the literature describing the products of interest to you by clicking on the image. You are then an educated consumer. If you like, purchase one or more of the products from suppliers near you or from ITM's visitor center in Portland. The extensive literature at our Jintu outlet it is intended to be self-explanatory; explore the ITM web site (homepage: www.itmonline.org) for plenty of additional in-depth health information; write an e-mail (subhuti@itmonline.org) if you can't find the information you are seeking. If you have a health problem needing attention, see a practitioner in your area (we have a partial listing on our web site). Most health experts agree: you need to drink plenty of water every day. Sure, you can just drink straight water, but this need to drink offers a great opportunity to consume other healthy substances at the same time. The number one health drink? Hands down, its green tea. The available data suggests that it keeps your blood vessels clear and helps prevent cancer. It is also simply refreshing, good tasting, and easy. Jintu features Premium Japanese green tea (plain and with roasted rice) imported by Kenshin Trading Company. Drink at least two cups a day for the desired effects. Want to avoid the small amounts of caffeine in green tea, or just want an alternative from time to time? Then try Rooibos (red bush from a single mountain region in South Africa), which produces a wonderful tea from a different plant; no caffeine, but plenty of healthful components and a nice mild spicy (woody) taste. How about herb-infused honey based on a 2,000 year old formula from India: Chyawanprash. This is the single most widely-used Ayurvedic product in all India, and just about every traditional herb factory in India produces it. This particular brand, from Universal Medicaments, happens to be the best tasting one. It has a spicy sour taste, the sour coming from a myrobalan fruit, the fruit of longevity. Or, try ginger-honey and chrysanthemum-honey granulesfrom Singapore (Kali brand). These two herbs are famous throughout Southeast Asia. Ginger is warming and chrysanthemum is cooling. Perhaps the tonic herbs astragalus or ganoderma would be appealing; these are in vials of liquid extract, a favored Chinese product for people on the go, ready to drink. You can jump-start your diet with a fruit-yogurt smoothie powered with vanilla-cream flavor Nutra-Soy (aka Narula-Soy) protein powder enriched with soy isoflavones. Soy powder helps regulate blood fats and the isoflavones normalize hormones. This delicious beverage provides a phenomenal range of valuable nutrients, with protein from both yogurt and soy, calcium from the yogurt, flavonoids and vitamins from the fruits. Another great nutrition drink is Kyo-Green, a mix of barley and wheat grass juices with other natural extracts, in a dry powder that reconstitutes instantly with added cold water. The chlorophyll cleanses the digestive system. Its not just what you put in your body, but also what you put on your body that affects overall health. Enjoy massage with Herbs from India massage oils, such as the popular invigorating Narayan oil, soothing Chandanbala oil, and calming Brahmi Oil. Warm up stiff or cold joints with aromatic red flower oil or white flower oil. Relieve skin inflammation, dryness, and itching with Lithospermum ointment or DermaSea-Topical oil. Counteract injuries with Analgesic plasters from Korea and China or liniments like Zheng Gu Shui. Clear up skin infections with grapefruit seed products. Soften and soothe skin with Meito Umi bath salts. A total program of preventive health care: augment a healthy diet with Nutra-Soy smoothies, green tea, barley juice, and supplements 0f Katsu Garlic and Kelp; take herb teas and extracts as needed.